Drawn from a Zulu phrase meaning "Hail, the Dark Lioness," Somnyama Ngonyama uses stylized self-portraiture as a means to commemorate, question, and celebrate the ways the black body has been represented in photography. Augmented with shells, textiles, and other objects, the artist's diverse coiffures explore hair as symbolic primary material and a central facet of African identity and stylistic expression. 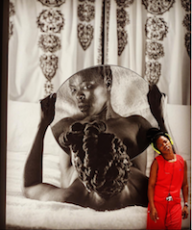 An acknowledgement of South Africa's political history and a series of activist networks operating today in the country and elsewhere, Muholi's project comments on aesthetic and cultural issues that affect black people, and specifically black women, in Africa and its diaspora. Reception with the artist Friday, February 26th 5-7 p.m. Widely considered the leading honor for excellence in the field, the Infinity Awards is ICP's largest annual fundraiser, supporting all of its programs, including exhibitions, education, collections, and community outreach. 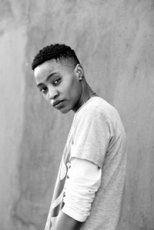 Kentridge and Muholi offer perspectives on South Africa from two generations. 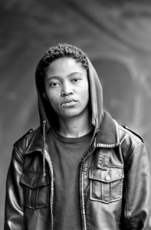 Yancey Richardson Gallery is pleased to present Somnyama Ngonyama, the debut exhibition of self-portraits by South African artist Zanele Muholi and her second solo exhibition at the gallery. 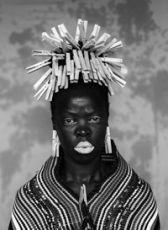 Somnyama Ngonyama, meaning "Hail, the Dark Lioness", represents a newly personal approach taken by Muholi as a visual activist confronting the politics of race and pigment in the photographic archive. A rotating selection of Muholi's photographs and over 400 works by 200 other artists, architects, and designers in the group show Une Histoire, Art, Architecture et Design Des Annees 80 a Aujoudhui concentrating on art, architecture, and design from the 1980s to today runs through March 2016. Read more. 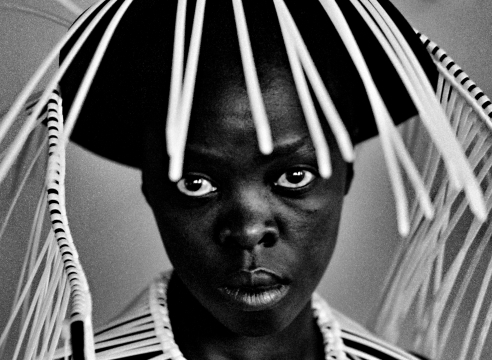 Work by Zanele Muholi is included in the group exhibition, Contemporary Art / South Africa, at the Yale University Art Gallery, on view through September 14, 2014. The exhibition features work produced in South Africa or by South Africans over the past fifty years, and includes Muholi, William Kentridge, Robin Rhode, and Santu Mofokeng, among others. 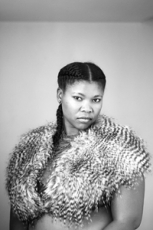 Work by Zanele Muholi will feature in the group exhibition Apartheid & After at the Huis Marseille, Museum for Photography in Amsterdam, opening on March 15 and on view through June 8, 2014. Other exhibiting artists include David Goldblatt, Pieter Hugo, Daniel Naude, Guy Tillim, Mikhael Subotzky, and Jo Ractliffe, among others. 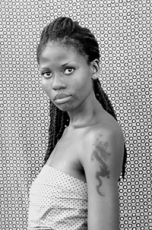 A solo exhibition of Zanele Muholi's work is on display at the Williams College Museum of Art in Williamstown, MA, through April 27, 2014, featuring photographs from three separate bodies of work: Faces and Phases (2006-ongoing), Beulahs (2006-2010), and Being (2007). 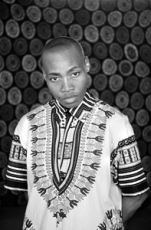 Gallery artist Zanele Muholi presents an installation of 48 portraits from her acclaimed Faces & Phases series at the 2013 Carnegie International survey of contemporary art, through March 16, 2014 at the Carnegie Museum, Pittsburgh. 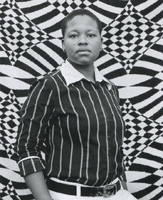 Zanele Muholi will be featured in the South African Pavilion at the 2013 Venice Biennale, curated by Brenton Maart, with the theme Imaginary Fact: South African Art and the Archive. She is included in All You Need is Love at the Mori Art Museum, Tokyo (April 25 - Sept 1), and has been selected for the 2013 Carnegie International survey of contemporary art, opening October 4. 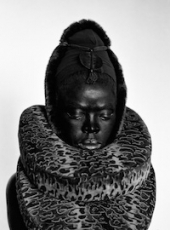 Zanele Muholi is included in The Progress of Love, a collaboration between The Menil Collection, Houston, the Centre for Contemporary Art, Lagos, Nigeria, and the Pulitzer Foundation for the Arts, St. Louis, MO. On view at The Menil Collection through March 17, 2013.